Stouts are a fairly predictable style of beer when it comes to the visual aspect. 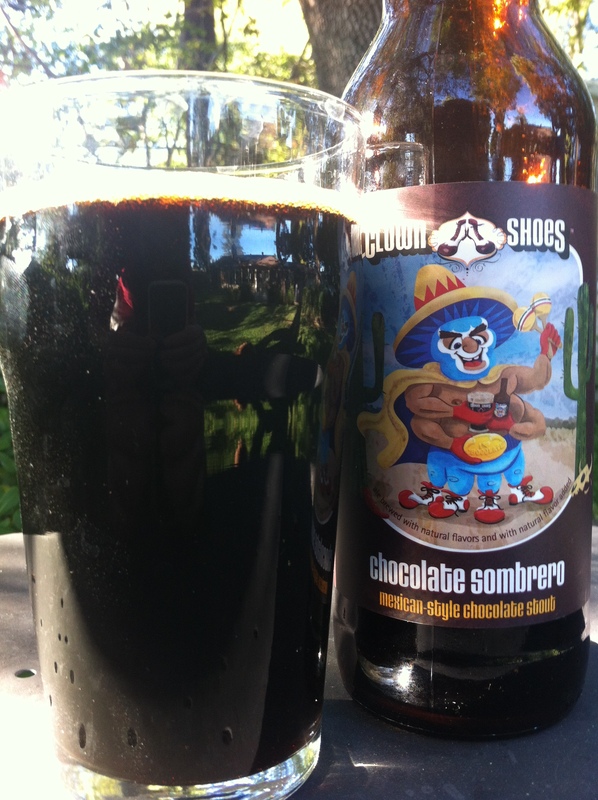 Chocolate Sombrero is no exception to this “rule”. It pours a brown that’s so brown it’s black. Bubbles can be almost seen near the bottom like the fleeting fish on the sea floor. Head is a thin layer of brown bubbles that doesn’t hang around for long. If a beer has a flavor/aroma in the name of their beer than it shouldn’t be surprising when the flavor shows up in the beer. This is why I wasn’t shocked when I first detected a bold chocolate aroma in the nose. The peppers came next, but thankfully weren’t too in your face. Hints of booze, wood, and smoked meat hang around in the background and fill out the aroma. This beer smells wonderful. The taste begins with spicy dark roasted malts. A wood and leather “roughness” (I don’t know how else to describe this) appears in the middle of the sip. Dark semi-sweet chocolate appears near the end before finishing with a sweet chocolate and cinnamon taste. The peppers become more noticeable as it warms, blending together with the chocolate and cinnamon to give it an almost Mexican hot chocolate feel. Mouthfeel is medium, with a slightly sticky/oily viscosity. A residue is left behind that coated my gums. I’m a sucker for stouts with peppers, but this one just slightly missed the mark. The pepper heat wasn’t nearly as prominent as one would expect, but the stout aspects were quite tasty. The beer changes when it warms up, taking on a whole different flavor profile. So your enjoyment of this beer may depend on the temperature at which it was consumed.